We vet them, you hire them! Some of these workers come highly recommended by their previous employers whose business needs are changing. Some come from our personal recruiting efforts. In either case, we put them through the ringer so you don't have to. We test them, check their references, talk to previous employers, and do a background check. You just pay us a recruiting fee. We don't mark up their salary. Given your skill set, what can you do for my company? "I have been a virtual assistant for 5 years now and the longest job that I had was with a real estate firm in Maryland. I started as an Internal Sales Agent, calling leads and setting up appointments for my boss, both phone and meet ups. Later on, I was tasked with more responsibilities, as a client care coordinator and administrative assistant having shown loyalty and dedication to my work. With my inherent attitude towards work, I promise to show the same work qualities for your company. I am adept at handling customer concerns, whether by phone and email, as well as having an excellent knowledge with administrative tasks – basic SEO and marketing know-how, managing social media sites, updating trackers and CRM management, updating listings on Zillow/MRIS/MLS, research, calendar/email management, and reports creation (ie. CMA / Valuation reports). I am so much willing to be trained on tasks and tools that would be new to me. 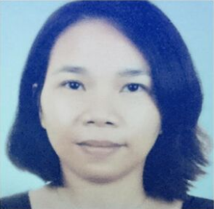 I hope I will be given this opportunity to be a part of your company as I am looking for a long-term work, being the bread-winner of a big family. My family, being my biggest motivation. And secondly the desire to do good at a job position I am at". "You should hire me because I have almost 4 years solid experience in handling Seller Central Accounts. 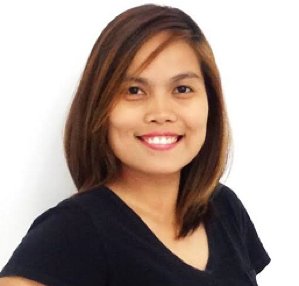 I have enough experience in customer support, inventory management, and product sourcing. I have communicated well with Chinese Suppliers before during the product sourcing phase. I was also able to handle negative feedback from customers by reaching out to them and and knowing their needs. I am also very familiar with the process of FBA shipments for replenishment of stocks and with listing optimization. In addition to those is keyword research; looking for keywords that are converting or not. I also have a basic background on Wordpress, plus social media marketing on different social media platforms like Facebook, Instagram, Twitter, and Pinterest to push the marketing of products at the Amazon store. If given a chance, I would like to be provided an opportunity that will help clients manage and optimize their Amazon Seller Central Account and I would also like to help you reach your business' optimum potential by providing my service, knowledge, and skills. Also, my good work ethics is a plus. I am a smart worker. While being hardworking is good, I think that working smart leads to increased productivity, thus increase in saved time and effort for the whole team. I am also flexible and can work under minimal supervision. After each day's work, I am able to provide my clients daily reports either through Skype, Asana, Slack, Evernote, etc, or simply send them an email about the work done. I hope you give me a chance". CPT codes or billing codes for Dental services; Cold calling random person looking for a potential patient for the office; I can get frustrated to people who miss deadlines, specially if my work depends on them completing theirs. "I worked as an Insurance Verification Specialist for a psychiatry clinic located in state of California on my previous job. Responsible in verifying patient insurance coverage for mental health and ensuring necessary procedures are covered before the patient visits the physical office. With my broad expertise in Insurance Verification for the patients, I can assure that I can monitor and do all the projects needed to be done in a timely and accurate manner. I am proficient in using online EHR systems and my experience in Medical field in state of California for 4 years will certainly help me when it comes to verification, medical billing and other terminologies used for the job. I also worked as a Medical Billing Specialist for a psychiatry clinic located in state of California responsible for filing claims to the Insurance company for reimbursement with an in-depth knowledge of each insurance company's billing policies and reimbursement schedule. I'm familiar with the coding (CPT CODES, ICD-9 & ICD-10) and billing process for MediCal, Medicaid and Medicare thru online (Availity, Noridian and other Insurance Websites) since mostly of our providers accepts variety of patients using these types of insurance. I am also knowledgeable in submitting corrected bills by following the insurance company's guidelines for filing a reconsideration claim. - Established good communication skills thru everyday conversing with insurance representatives and patients. - Established good navigation skills for the insurance websites. - Established good typing skills and entering data in accurate manner in EHR system (Electronic Health Record system). - Established and extended knowledge in HIPAA rules and Medical regulations. I am a fast and adept learner that can work under pressure with a good decision making skills and highly adaptable to situations. I am looking forward in giving and helping to the best way I can for the company". "Why you should consider me for the position? • I am available to start immediately. • I have prior BPO call center customer service experience working in Expedia, Nu Car Rentals and Manulife dealing with different types of customers, vendors, and partners. • I am trainable and willing to learn in order to be effective at work. • I have the necessary skills and experience needed for the job. • I have exposures in different fields and platforms which give me an edge over other applicants for this job. I am also good in sales, marketing, and account management role. • I am hardworking and committed in providing a good service to my client and customers to meet their satisfaction. • I have the system requirements needed for the job for a functional work station and internet connection. • I am comfortable working either remotely as an independent worker or in collaboration with a team. • I can do multitasking and flexible in task assignments. • I continue to improve my skills through continuous learning and practice. • I am open to constructive criticism and work on my weaknesses to improve myself and my performance at work. 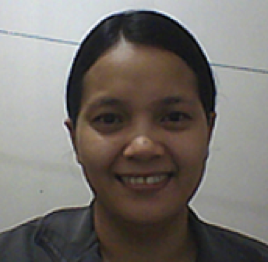 Looking forward to be hired as a Service Accommodation Virtual Assistant and be able to start working in your company." With my tasks as a virtual assistant, I was trained to work under minimal supervision so that my superior can accomplish what should be done within the day and to keep everything on track. Regardless of the experience that I have, I am still willing and open to learn and to be trained. And I assure you that you can never go wrong on hiring me." Office 365; Servicenow Ticketing tool; Sharepoint Sites; CRM ticketing system; RTS remote desktop tool; VPN; Cisco Anyconnect; BOMGAR; JIRA ticketing system; VSphere; MS Server. "I believe I will be an asset to your company since I already have 10 years of experience as a Customer Service. This particular job opening will not be different from what I've been doing for the past decade. Give the experience I have, I can share this to my future colleagues given that I will be hired, and I can also share a lot techniques to handle different types of issues and scenarios. Expect that my experience and skills will be a valuable asset once I'm hired and I believe this will be an advantage for an employer. I am an expert when it comes to troubleshooting both using phone and chat. I've been a Technical Support for 8 years and a CSR for 2 years. I know how to handle both hardware and software issues. If you can check my resume I have years of experience handling Active Directory accounts, doing remote session to rectify different issues of the customers both using phone and chat. I believe this is an advantage for me as an employee. There are a few things that I believe I can contribute, I have 5 years experience troubleshooting Cisco VOIP both hardware and profile creation. I have a 5 years experience for handling Active Directory accounts consists of account creation, password resets and unlocking account, installation and troubleshooting for MS related applications. We use the application BOMGAR for chat support all over the world. I have an extensive experience for remote troubleshooting as well using RTS application. I can also troubleshoot minor operating systems such as Linux OS and Mac OS. We use different type of ticketing systems as well, I've been using the servicenow ticketing system for almost 5 years, JIRA ticketing system for 5 years and CRM for almost 2 years under Dell Computers Association. I am also a Dell Onsite Support Certified and ITIL v1, v2, and v3 certified as well. We used VSPhere to assist users reset the connection of their virtual machines". "I can confidently say I am well versed when it comes to digital marketing and can help with funnel strategy and implementation and social media marketing. Now I was informed you need a podcast marketing manager, I’d love to help you out! 1. Ensure that the avatar is clearly defined as this ensures that all our marketing efforts will resonate with the target audience. 2. Know really well the pain points and biggest dreams of our avatar so content we produce is actually beneficial for them. Now when it comes to marketing, it is essential that we know where most of our target hangs out. Are they in Facebook, Instagram, LinkedIn? We will focus on 1-2 platforms at a time to ensure we are effective with our marketing. Another important component, is to be clear about the goal. So with the podcast, what is the goal? Is it to promote brand awareness? To use it to increase web traffic? Knowing this is crucial to ensure that all the marketing efforts we do are cohesive and is aiming towards one goal. If you need someone to help you build your digital marketing strategy not just with your podcast, but also with other products or courses you may want to launch, then I’m the person you need. Just having that extra strategic mind to help you grow your business is something I think will definitely help you feel less overwhelmed and gain more clarity on the direction you want to take. Having a product launch or running an online based business can be quite chaotic and stressful especially if you don’t have the right systems and processes in place to assist you. Having assisted (and worked with successful entrepreneurs) with several product launches in the past, I know I can definitely help you in this area. Just a question though, will you be able to share me a link to your website or social media pages? I would love to work with you as I feel that I will learn so much from you in the process. (I am confident that working together will be very beneficial for both of us -- you getting eased off some tedious tasks, and me making an impact to your business while learning in the process)". "Being a Content Writer is always fun! 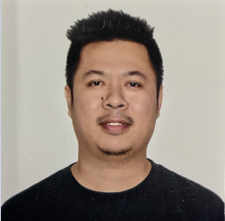 I was a SEO Content Writer in Lazada, biggest online shop here in our country. I was a voice of different categories/clients by writing descriptions of their products that they want to market such as Men & Women Apparel, Babies & Toys, Avent, Wet N' Wild, etc. I also have an experience in SEO Keywords Research and was able to list down hundreds of SEO keywords every day then upload it in Google Adwords. Also, I was able to write the content caption for FBAD and EDM, upload and boost campaigns in Facebook Business Manager. Moreover, I have experience in handling Social Media for our company and responsible to monitor FBM results of different campaigns such as CTR, PPC, Impressions, Frequency, etc... as well in Google Adwords. AAdditionally, I also have experience as Virtual Assistant like doing research, process documentation, and monitoring emails & meetings". Typing skills, technical skills- internet connection troubleshooting, network setup, email configuration for both Web-mail and email client, basic troubleshooting with IPTV and VOIP and administrative assistance. 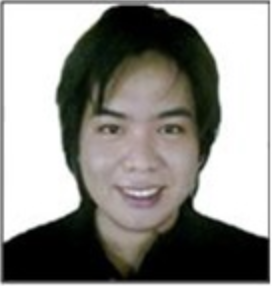 "I have a 10-year call center experience as a Technical Email and Core Network Engineering Support. As a technical support, I have a wide-range of skills such as in-depth knowledge of hardware and software, attention to detail, high level of concentration and commitment, interact with a wide range of customers and technical issues, listening skill, maintaining customer relationships, outstanding customer service. 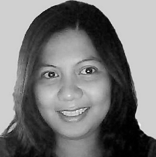 After being in a BPO industry for many years, I ventured in a business and it's running for 2 years. Aside from the physical store that we own, we also have an online shop. We use social media platform to market our products. My husband manages it now while I am working from home. My expertise include my technical skills- internet connection troubleshooting, network setup, email configuration for both Web-mail and email client, basic troubleshooting with IPTV and VOIP, administrative assistance, phone and email handling, multitasking, typing ability of 50-60WPM and social media account management and marketing". 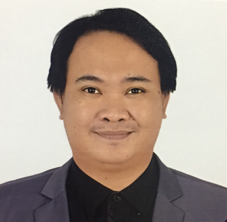 "I can say that I can be an asset to your company through my extensive experience in the academe, where I handled Journalism subjects that mainly catered to students producing write-ups for various topics as well as handling social media pages like The Lycean Post where my classes produced and handled social media content on Facebook, Twitter, and Instagram. I handled writing workshops to develop students’ skills for writing on the web, as well as practical exercises where my students produced social media posts from time to time. I also have a significant experience in content writing while working as a faculty, as I was sent as a professional intern in a graphic design company where I served as a content writer and copywriter, producing writeup in various fields such as web design, graphic design, corporate photography, and videography on a daily basis, using various SEO techniques (black hat and white hat) in order to maximize the reach of the writeups that were to be put up as blog posts in the company’s website. Furthermore, my four-year teaching experience has further honed my exemplary command of the English language as it has become the bread and butter of instruction in the university". "My last work is as a Property Manager of 8 rental home properties in Maryland USA and 2 apartments in New York USA. I am managing three of those eight properties through Airbnb and Vrbo. My daily tasks are to respond to emails, SMS, and phone calls coming from current tenants/guests and vendors. I am also handling onboarding for potential tenants and vendors. My other tasks are drafting/preparing lease contracts for new and renewing clients, and also processing rental permits for the properties yearly. I also handle purchases needed for the properties through online website like Home Depot, Amazon, Target and Best Buy. I log all my completed and pending tasks through Trello which helps me track all my tasks efficiently. My goal is to make sure that I manage and resolve all concerns from the tenants/guests as reported. My organizational skills is a great advantage to make me a very reliable and trusted point of contact for your properties across England and Wales. I have been trained to use platforms like Trello, Rentecdirect.com, DocuHub and DocuSign, Airbnb and VRBO websites for online booking, onboard vendors coming from job posting sites like Thumbtack, Craigslist and Yelp. I am a fast learner and willing to be trained as needed to meet the demands of this role. I am confident that I can help your company ensure that guests are always given the best customer experience they could possibly get through their accommodation. I believe my skill set and experience will lend well to helping your company achieve your strategic goals and objectives through this role. I am interested in a new challenge and an opportunity to use my technical skills and experience in a different capacity than I have in the past". "First and foremost, I’m here to provide excellent customer service. Every company’s success can be attributed to how their support deals with a customer’s problem. In my years of providing technical support, I learned that the best way to deal with a customer is by acknowledging the problem, empathizing with the customer and finding a solution to the problem in a timely manner. This results to a happy customer. Sometimes, even if you don’t resolve the issue but they know that you’ve tried your best in assisting them, it’s already enough as it equates to providing excellent customer service. Happy customers mean more business. More business is good not just for the company but for the employees as well. This is a win-win situation to everyone in all aspects. As a Customer Success and Support Agent, I’m here to help you retain old customers and gain new ones. I’m passionate about helping customers. It’s such a nice feeling to be able to help and fix a customer’s problem on your own. Sometimes customers also tend to overthink and I’m here to simplify things. Providing quality technical support means adjusting to the customer’s wavelength and help educate them. I love a challenge. I think outside the box. In the past, I’ve encountered customer issues that don’t have an easy solution. I learned how to replicate the problem and I find ways on how to resolve it before escalating it to a higher level of support. Lastly, I’m in this for the long haul. I’ve worked in the BPO industry under 1 company for almost 6 years and I’ve had a VA client for 9 years". "I want to impart my knowledge, skills and abilities to your organization. 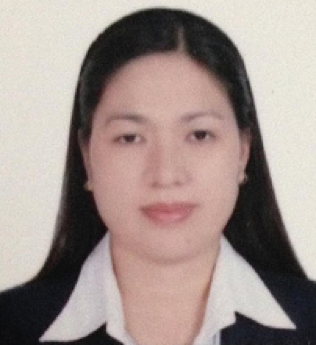 My 14 years of extensive experienced as a professional accountant in different industries locally and internationally provides me a high working standards, help me to systematized all accounting tasks such as general accounting, accounts receivable, accounts payable and other administrative duties. I have a great attitude, can work independently with pressure and have strong working ethics. 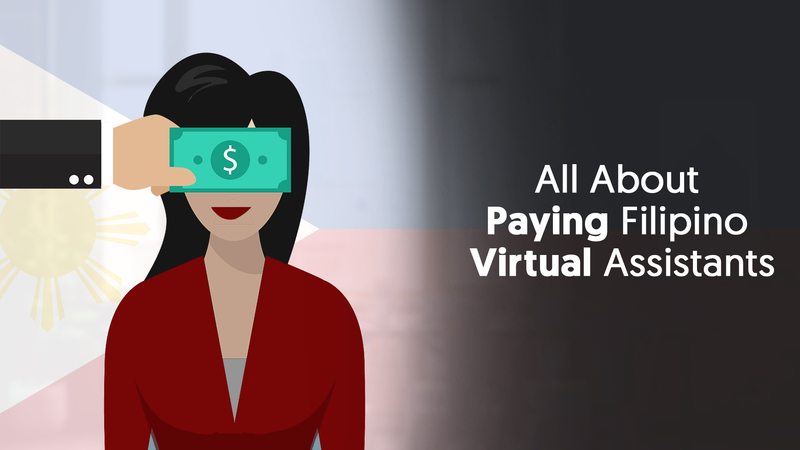 I have experienced working virtually or homebased as professional accountant, having expertise with different accounting platforms such as Quickbooks Online, Quickbooks Online Payroll, Quicksbooks Desktop, Xero, JD Edwards Oracle, SAP, Accounts Reconciliation Management Systems, Blackline Systems. MS Office and G-Suite Google apps such such sheets, docs, drive and others. I will help your company to supervise daily support in the operation. Plan the most efficient financial and administrative procedures. I will lead a team of professional that will be an asset of the company. I have excellent communication and organizational skills. 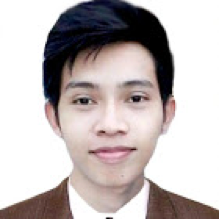 I have an analytical mind with problem solving skills and will be able to discover new ways to do job more effectively". "I know I'd be awesome in this role. As I am a multi-faceted, strong-willed individual with 15 years of professional experience in Customer Service, Sales and Account Management. 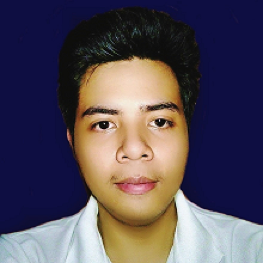 I am a Bachelor of Arts Degree graduate in Development Studies (Political Economics) and have also gone to Dentistry School from a reputable university here in our country. I have worked as a Team Manager, Team Leader, Trainer for Customer Support & Sales. I have likewise worked and trained with C-Level executives in the company. My previous jobs have taught me skills in Account Management, Sales Management, Email / Chat Support, Social Media Management, Appointment-setting, Lead Generation, and some Administrative / Office support. In my recent job, I'm doing leads / events management, affiliate marketing digital product deliveries, customer support via phone & email, LiveChat, Zendesk support ticket resolution, email marketing, social media account management, phone sales, and other admin support. Having been trained and worked on diverse types of tasks in Client Support, Account Management & Sales, I know I'd be able to share my best practices, easily adapt to given tasks, and help contribute to the company's success". "Whenever I am working with a firm, I always set my goals from long term engagement. My area of expertise is Administrative Assistance and Data processing. I worked with a Logistic company that is based in Australia for three years. I can say that I know how the business works in and out. From booking to tracking and tracing of consignment. Basically, my job is to do invoices and do some basic accounting and handle customer service. Later, they trained me to make quotation for every freight and I got promoted as Admin Manager where I was tasked to book a shipment with different vendor across Australia including tracking and tracing of the shipment. I have to keep the customer records, how much tailgate and other charges that needs to be added. I am also in charge of doing quotation of the item, place the price for the items that needs to be moved. For this task, I have to know the exact dimension and weight of each item. Basically, we're using a calculator for that. For the customer's records we're using HUBSPOT, for the chat inquiries we're using Zendsesk". 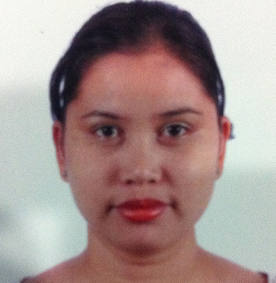 I worked with several BPO firms. I was a Tech Support Rep for 6 months (Apr 2008 - Oct 2008) under Time Warner Cable in which I fix internet connection over the phone, do remote desktop assistance, and create tickets for escalation or technician dispatch. The demand for patience, being customer-centric and problem-solving skills is really important. I handled around 88-100 email cases spanning from buyer defrauded, item not received or not as described, account takeover, billing, general inquiries, and educating users regarding phishing and spoof/spam emails. I was able to learn all these things through training and experience. In this job, we used Kana software in handling emails. Armed with only Photoshop, a bit of knowledge in HTML and CSS, I started applying as a Graphic Designer in Dubai. I landed my first design job in a moving and storage company. I was their solo designer designing marketing materials and handling websites. I then worked for several companies with the fast-paced setup and a lot of rapid changes to marketing materials, the demand for concentration and attention to detail is very high. Aside from Photoshop, I quickly learned to use Illustrator for large format graphics, InDesign for creating an 120-page programme guide, flyers, roll-up banners and backdrop; PremierePro for video editing (stitching different video clippings, inserting logos, adding music, etc), Dreamweaver for creating email newsletters, MailChimp and CampaignMonitor for mail blasting, and lot of other things like photography especially during the event. - Improve the look and feel of your website, for a stronger online presence and to be at par or exceed competitor websites. - Market the website through social media for a potential of getting more web traffic, which can turn to customer acquisition. - Quicker handling time on email requests. - After learning everything like how the business operates, I will come up with steps, templates, and process to get the job done faster. - A reliable staff that can eventually become the client's "jack-of-all-trades". 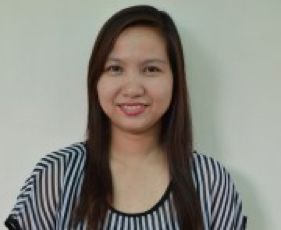 "Working as an Administrative Assistant for four (4) years, have equipped me with many skills. Skills that I want to put in to good use by providing professional services to my client for their satisfaction. I am knowledgeable in MS Office (Word, Excel, Powerpoint), Google drive, Hootsuite, Wordpress, etc. Some of the tasks I did were matrices of the daily activities of the office such as operational & administrative activities. Data entry of the daily transshipment permits (20 to 50 entries a day) including specific information on that particular permit), incoming and outgoing communications, written memoranda, encoding of importations for monitoring and maintaining/updating of database. I also prepare the reports that are to be submitted on a weekly basis, some are confidential due to the nature of our work because I was assigned at the Intelligence and Investigation Division, reports such as maritime, weekly activities, transshipment, xray, and other reports. My work also includes monitoring of the importations of different commodities and consignees, check the corresponding permits, and other related tasks. I also prepare powerpoint presentations and provide information therein. I keep records and file all the documents in our office, accordingly. I provided my service with utmost care and to the best of my ability, so my employer can rely on me because he/she's assured that I can keep up with them. That's why I believe that I am a great fit for this position because not only with my skills, but I can also adapt easily, I look into it and I make sure I can provide it as soon as I can with the highest degree of professionalism". "Working freelance as a social media and content writer allowed me to articulate what I think is working well and what isn’t for a company’s online presence. If they have a strategy in place, I may be able to offer ways to build on it. If they don’t have one, I could be able to offer ideas that align with your business goals. I create content and perform social media marketing techniques in promoting brands to acquire more audiences and turning them into sales. Working as a social media manager gave me an opportunity as to demonstrate both my strategic thinking as well as my judgment and soft skills since a good social media specialist should be able to work with your CS team that is why I make sure I can provide support that’s helpful and on-brand, and also recognize when it’s better to take the conversation off social media. I can multi task fairly easily, learning new skills quickly and effectively. I consider myself a hard worker who is optimistic and very fun to work with. I always have a positive attitude towards work at any circumstances. I consider myself to be highly organized and capable of taking on the tasks listed in your job listing. With my skills as my ticket in getting this job to a great relationship and giving your company more success in all aspects. I strongly believe that I would be a great addition to your company and that I could learn a lot as well". 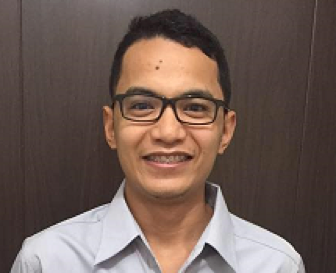 "I believe my experience would help to become the suitable candidate. I have achieved even beyond the target in this field. Providing satisfaction and building relationship with the customer are most important. I will surely utilize all the skills and experiences that I have. I will become more open for new innovations and improvements for the business success. Rest assured that I will work long term for the client, giving my 100% effort, time, effort and commitment. Communication and meeting deadlines are two areas of strength that I feel will benefit your company most, in my previous company we utilized these areas also in meeting our target. I will bring my unique vision to your company. I am experienced in the many areas related to this company’s current goals, including handling customer queries. I have a strong desire for new learnings, I believe I will enjoy doing the tasks given to me. I believe that my unique blend of experience, problem-solving skills, and people skills differentiates me from most other candidates. I am motivated, disciplined and focused and am willing to do whatever it takes to get the job done". "I can help a company achieve their objectives and generate sales more than their expected income. By listing winner products and advertising these products thru social media, this will help the company get more sales than the usual. The process to achieve the company's objectives will start in Winner Product Listing, after you got the list you may start testing these products by advertising thru social media and the product would sell it self. To put the product to test, I can create a video ads or photo ads. We do not have to force the product to sell and spend a lot of money in ads, we just need to find the right products to test. I can also make a list of winning products for the company. The process will not be easy but I guarantee that I could make this work. To achieve the company's goals is my objective and I will give my very best as an experienced employee. My skills as a Social Media Manager, Video Editor, and in Product Listing will be a perfect match for this position and also a good opportunity to have my other skills and qualifications make a difference." - Increasing and getting more links and or traffic to your website, more items/articles shared via FB or Twitter through content marketing and that is by creating and sharing of online material such as videos, blogs, and social media posts to social media platforms which soul purpose is to gather traffic and links to your site. - Increasing your ranking on Google for certain phrases (Using SEO tools which include Ahrefs, SEMrush, Moz searching keywords using these tools and after which ranking it by optimizing one’s site using the long tail keywords per page so that it can rank more higher. - Having more time on your website spent by customers (Creating user friendly, easy to read content, creating articles that may stimulate the viewer's interest on a particular topic,etc). - Setting-up your Social Media Accounts (Facebook, Twitter, LinkedIn, Youtube) and then manage and update it. - Tracking your Social Media Accounts using different Analytic tools in each platforms. How are you going to use your current skill set in order to help client? How will you fit in client’s organization? "I believe that with my current skill set and vast experience, I will be able to deliver work with exceptional results. I'm working as a Virtual Assistant with well-rounded knowledge and skills in branding, content management, SEO and Social Media for almost 8 years. I started working as a content writer by crafting interesting, concise and informative materials for various online portals and niches, until such time I’ve ventured to improve my skill set more. I can also execute various admin tasks, graphics and video editing, podcast stitching and management, email creation and anything a client will ask favor for with preciseness. I also know how to do SEO and Social media tasks, although my knowledge and skills for it is 8 out of 10. I know Wordpress in regards to prettifying blog site and other basic back end management. Currently, I worked on my own brand, managing my personal blog. With that, I am able to apply what I learned from my previous work all the techniques that my previous clients taught me. I work with passion and love my work as much as I'll love my clients. As a well-rounded and positive individual that loves challenges, I am also resourceful in bringing solutions to the table and both a goal and result-oriented person. I can definitely claim that I will be your wing-woman that will help you drive your business. So, count me in"! Given your current skill set, how can you add value to the client’s business? "I am best known for having a lot of skills, mainly technical. I can do web designing and web programming, which can definitely help when it comes to website maintenance. I can also do graphics and design, and add the necessary beautification whenever needed. I can do infographics, mini illustrations, logo and photo editing. I'm always on the internet, so I can definitely do a lot of research and I'm keen to details. I have few experiences with product listing and I've been known to have great patience so that task is not a problem either. I'm a Computer Engineer, and I have been trained to program mobile applications even during my school days, so I know that field so well. In marketing, I know how to handle social media (instagram, facebook, twitter, and pinterest), create some simple and attractive content to market, and write some blogs. The reason that I have so many qualities was all because of my experiences and some are because of my studies. Being a geek has its perks, but it became a great opportunity for me to grow myself. I am forever humble with these abilities and I will not hesitate to use them in order to help and provide great quality content". - Customer Support - live chat, order processing, ticketing system, CRM & email handling. - With experience with Livechat Inc & Live Chat Media Productions Inc.
"Your company goal is my mission. With regards to my previous jobs experience as customer service representative/virtual assistants that entail multitasking which will make cost and efficiency to your business. At my previous company, As a team leader to my previous job as well I been able to improve great teamwork and communication among members of our team. I can bring not only my ideas from my previous job but my general passion for innovation, to your organization. To be able to reach this target I need to get to know more about the team's structure I must understand the functions and interrelationships of your team/company in order to set workplace goals that will make our team more productive and helpful to the rest of the organization. Also, an open communication as always with my superior/bosses/ managers to be able to show support towards a great teamwork. To be able to reach those; I need a smart goal that has clarity and deadline for achieving them. It should be specific wherein it is clearly defined, measurable, attainable and relevant towards our team and most especially should have a time when will this goal be achieved." "Given my skill set, I'm looking forward to help the company improve the bookkeeping, accounting procedures and controls, and reporting. And I will make a plan and a timeline for me when to accomplish this. First, I will have to look and review the previous year's, and this year's previous months' financial reports and transactions, so I could have a view of the flow and accounting procedures done and check the same whether the transactions were properly entered into the accounting system, whether the income and expense accounts entered are correct (most of which would come from the bank reconciliation made), whether there are irregular accounts (like negative accounts), whether there's an overstatement or understatement of any account (if accrual accounting are being used, depreciation of depreciable assets should have been made as well as amortizations of prepaid assets). This might only go around one day or two only. If there are areas in the accounting controls and procedures that needs to be corrected or can be improved, this would immediately be referred to management (as well as if I have inquiries on anything). If after reviewing previous financial statements and transactions, and found that everything is okay, or if all that needs to be adjusted were corrected, then shall I begin the timeline for the improvements. I shall do the bookkeeping on a timely basis (based on accounting control and procedures, most probably, everything should be entered upon receipt of data -- receipts, invoices, etc. Payroll shall be diligently monitored, if possible on a daily basis, depending on the number of employees, so payroll may be done immediately the day after cut-off date Bank reconciliations shall be done exactly upon downloading of the bank statements into the accounting system (as much as possible, the following day), accruals, depreciation, and amortization on the day after month-end. The above paragraph would help me generate, process and analyze the financial reports within two (at most would be three days). This would result to a more efficient submission of the Balance Sheet, Cash Flow Statement, and most importantly, the Profit and Loss Statement (Income Statement) to management for decision making purposes. And I can also make suggestions base on my analysis." Data Analysis, Web research, Basic photo editing, Social Media management, Social Media Marketing, Email Management, MS application literate. MS Application, Gmail, Google Docs. 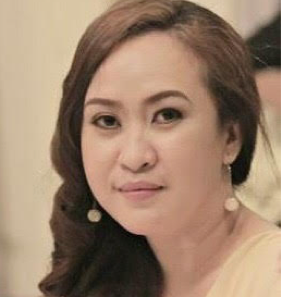 "I can be a real asset to the company for I am a dedicated and hardworking person. I will always try to be recognized for my incomparable hard work. I will not give up easily because to me quitting is never an option. I can work under pressure; I really love challenges because the more I overcome challenges the more I become better with each passing day. I will stay focus to all my goals. I will make sure that before the day ends, I will be finished on what I need to do on that day. As a mother, I have all the motivation to work hard not only for myself but for my kids because I want to give them the best life they deserve, and I want them to enjoy the fruit of my hard work. This job is close enough from my previous job as a Data Entry Analyst. I know through my willingness to learn there is nothing on the way that I cannot handle. I hope you will give me a chance to enhance my knowledge and learn new things so that I can give positive outcome to the company. I am looking for a long-term job and I am looking forward working with you". I am very good with communicating with different types of people of different nationalities as well. I am very versatile and always do multitasking so that I can do my job ahead of time. I am very knowledgeable with the process of screening potential candidates from the initial process until the end process. I have limited knowledge in SEO, Wordpress and in super technical stuff. "When I read the job posting, I know I can help your company in so many ways. With my last working experience in the Corporate World as a part of the Talent Acquisition team, my main job was to screen and provide potential candidates to our company and did mostly administrative tasks on top of my main job. I always communicate to different types of people including stakeholders and clients which are foreigners and locals as well as rank and file employees. I can excel as an administrative assistant/ virtual data processor and can guarantee you that I can do all the jobs you would ask me to do. In a workplace, there are always targets we need to reach and I can do that by looking into the job and then planning on what to do first. I need to manage my time and spend more time on crucial work by prioritizing what do first and what to do next afterwards. I always need to do what is expected of me and go beyond what is expected of me plus doing initiatives as well". I am not sure on what are the areas should I need to improve but I am willing to learn new things. 1. Start your day with a prayer and positive mind. 3. Set a timeframe for every task that you will do. 4. On time is late. 5. Do not cram or panic. Stay calm. 6. Be ready to adjust. 7. Give your best shot. Do your job as if you are the boss/owner. 8. Take time to take a deep breath. Have a break. 9. Eat your meals on time. 10. Do the things you love and Love the things you do. Some of those guides may sound/look photocopied but those are the guides that I chose to always bring out the best in me". System of Client used, Type of work environment of the Client, Ethics required new clients company. 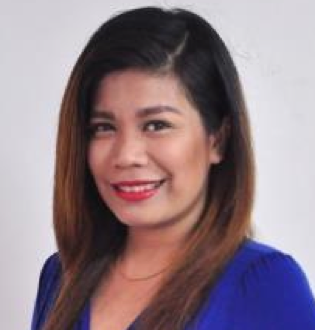 "Being a graduate of a 5-year Course, Bachelor of Science in Accountancy and having a 5 year of experience in the Finance Industry, I can be an asset to your company. 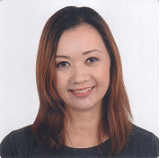 I have experience with several accounting software such as Quickbooks I worked as an Internal Audit Assistant on a bank in the Philippines. I have experienced dealing with different kinds of account. I also worked for an Australian CEO before. I do also experienced working with a Non-Profit company in the USA as an Accounting Assistant. I do Accounts Receivable and Accounts Payable management and accounting for my previous clients. I also do Inventory management and asset management. Bank reconciliation is also one of my strengths. 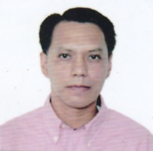 Preparing tax returns, is one of my expertise, especially here in the Philippines. I have various clients and they are entrusting me with their book of accounts, financial management and tax reporting. I am always careful with my client’s accounts and financial records. Being precise and accurate on the information that I am handling, and recording is a must for me. In everything I do, I always make sure to excel and give my best to it. It will be my pleasure to be a part and serve your company". "I worked with an NGO in China as Finance Officer for 6 years. I introduced Quickbooks to their system. I trained and guided their employees to use the software. I headed the Finance team. I enjoyed working with different people and witnessed different culture and traditions. I am a fast learner. I do what I can to understand the things given to me with little or no supervision. When I first use Quickbooks, I was trained for just a few days and learn more about it myself. I practice everyday to familiarize myself with the terms and procedures to follow in order to generate a correct report. I am very diligent and passionate in my work. I make sure I finish my tasks on time". 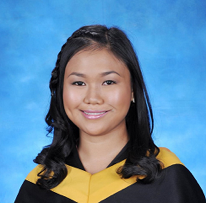 "I graduated at Holy Cross of Davao College with the degree of Bachelor of Science in Accountancy. With more than 10 years of work experience, I had confidently developed my knowledge and skills and learned not only how to deal with people but also acquired self-confidence. I am used to extensive way of recording, maintaining book of accounts, invoicing, accounts payables/receivables and basically applying all accounting principles in my work. I have learned to value clients and maintain good relations with them. The field of accounting offers stimulating and challenging work that is constantly evolving and I keep abreast through constant self learning and research. I want to be part and contribute to your Company’s success. I will apply the broad knowledge I have in Bookkeeping/Accounting. I believe I possess a great sense of initiative on the things with less directions. Communicating a company’s vision, translating it to reality, inspiring and motivating others, and Team work. I am always ready to take the responsibility and meet my deadlines". "Designing is where I'm best at, whereas what I can offer to your company is the best quality of my designs. I will apply all that I have learned in graphic designing. I will help the company grow further and recognize by many people. My main software that I am using is Photoshop, which I know very well, been using this software since I was in College. I worked in a local Printing company as graphic artist. I made every client awed by giving them satisfaction for designs that I make. Seeing them satisfied motivates me to improve more on my skills. I have never been part of a team, but I know how to cooperate and be a team player. I'm very helpful especially when someone needs help regarding the job and for personal issue. I have an experience in BPO as Technical Support at Sykes(Verizon) , so I know how to deal with irate Clients ,It's part of the job. I will give all my best for the company and together we will grow". "I always said this to my prospect clients, I actually do not promise, but I will do my job at its best! Given that skills can be developed and with the help of search engines, we can get more ideas and techniques as long as you are hungry of the new challenges which in the end you can embrace that ideas on your own. I’ve been working for more than 7 years in the virtual world but I am not proclaiming myself as experts in all areas, however, I am not also putting down myself below. The idea of the digital marketing keeps changing and the only thing I can assure you is that, I also keep changing and as much as possible keeping up with the new trends and strategy that I may use as well as I may contribute to the company I am working with. I am capable to find ways of strategies which will benefit yours. At the same time, when it comes to working tools – I make use and take advantage of the free tools online. But I also, provide my own budget for the tools if necessary. I actually subscribe Copyscape as it is needed for my writing jobs at my own expense. As Filipino worker, my only weapon is determination and hard work. And I never stop learning; I also want to improve myself as well as to provide quality service to my client. I’ve never wanting to be stagnant with just an idea". "With my skill set, I can do a content plan for your social media accounts, run Facebook ads for you, write ad copies, and even give you tips on how to improve your website's SEO. When it comes to branding, I can even check your creatives, audit your existing materials, and give you my recommendations on how to improve them. However, doing all of those for you will not make you and I successful in reaching our goals. What I really want to happen is for you to get what your business really needs. I don't want to be providing you something just because that is what I know or that is what I'm an expert on. What I want you to have is something valuable to you. Is it an increase in leads or inquiries? Is it converting your prospects? Is it retaining your customers? Right from the start, I will find out what your problems are. But I would need your help to do that. Then we create an action plan. I will find the right fit of my expertise in creating a plan that will solve your problem in the right way. That’s what I can do for you". "I got the experience for 8 years in Human Resources and Admin Support. I got a solid background in Recruitment and HR Support both in online and office-based jobs. For Recruitment, I screen, interview, and give examinations to applicants. Apart from that, I also check references and extend job offers. I always see to it that they have all the qualifications the company is looking for as preferred by the client. I also provide current recruitment knowledge and trends within the market overall. For Employee Relations. I am accountable in solving cases always make sure that all information related to that case are being documented to present strong documentation in case of a law suit filed. For Compensation and Benefits, I make sure that all company and government mandated benefits are being applied and implemented to all employees. For Data Management, I always keep our Human Resources Information System updated to provide a reliable source for supervisors and managers in case of an audit. For Payroll, I make sure that all payment concerns/inquiries are answered the soonest possible time. With the qualifications stated, I believe that my skills and expertise will be ideal for your company". On-page optimization, Managing a team, Admin work and research. “I will provide 100% my all in my job. I will do my task with less revisions, and deliver it on or before deadline. I will also do other tasks assigned by the management to help the company to grow their business. I will be productive and positive with my work. Just in case that I don’t know what to do with the assigned task, I will do a thorough research and be resourceful in order for me to accomplish the task. I will also be helpful and respectful to my superiors and to my co-workers to have a friendly and professional working relationship. I can use my skills, experiences, and knowledge to share it with the team and follow the company rules and regulation to achieve the goals of the company to grow and be the best. I am ready to take the responsibilities and challenges in the future with the company. Since I’m applying for a home-based job, I will be dedicated, honest, trustworthy, understanding, and provide full support, and open communication with the team. I’m looking forward to work with the company for 5 years and more”. "First of all I want to tell a brief summary of my experience and skill set. 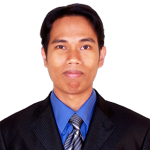 I worked for the Central Bank of the Philippines as Java Developer for more than a year. My tasks there were developing banking web applications and maintaining the existing ones. All the systems that I worked with are Java with DB2 as the database and JasperReport is the reporting tool. While working, since I have some free time at home and on during weekends, I do sideline as a mobile developer. I’m helping some of my friends to develop apps for their research and thesis. Last year, I decided to focus on freelancing because it is more convenient and i want to explore more technologies. It's almost a year now that I'm doing freelance. Most of my experience is developing mobile apps from scratch up to publishing to appstore or playstore. I’m also maintaining several websites made from angularjs and grails which is also similar to Java. So in summary, my greatest strengths are java, hybrid mobile, and angularjs. With these, I believe you can asses what can I do to your company technically. I believe you also want to know my personality. I’ll just make it short. I don’t want people to waste money on me. I want every single penny to have an equivalent hard work." Writing is an inherent passion and ultimate channel for self-expression of this candidate. She loves generating ideas, adapting profitable ideas that makes her abreast to latest trends. She started her writing career in 2011 when she was hired as a writer for a blog site, forum, and website that catered to health and wellness issues. Most of her assigned writing jobs require a minimum of 500 words. She can finish writing a 500-word article within 2 hours on the average, but may exceed in time depending on how deep an issue is all about. She can also do keyword research to produce fresh, and unique articles using keyword research tools such as word tracker, Google insights, Google trends, and other relevant tools. SEO was slightly touched but she does not have background knowledge on how to perform tasks such as off-page and on-page search engine optimization and would like to learn this if given an opportunity. "In all forms of relationship, the mutual interest, understanding, and respect are always vital elements to promote wholesome dealings with one another. Therefore, in a work setting, both of the employer and employee should be united in goals and must show coherence in their performance and expectations toward each other. If I will be hired for this noble writing job that focuses on health and fitness, I will dedicate my valuable time in conducting extensive research and producing high-quality health and fitness articles or blogs. It is will be my primary duty to upkeep the company’s goals and objectives. I believe that a company will only earn its credibility if it has satisfied the needs of its target audience. Therefore, it is essential to be emphatic and empathetic in the entire writing process to achieve the best output. I can understand how the time flies fleetingly and innovation takes place as technology continues to advance in this fast-paced world. Hence, it will be my commitment to improve both of my strengths and weaknesses to perfectly suit with the expectations upheld, and become one of the best health bloggers or writers around. I will be sensitive towards the current events and issues relating to health and fitness to produce the freshest and unique contents. Moreover, I will commit to keeping myself updated with relevant tools that can boost my writing skills and English proficiency as I believe, “when we stop learning, we also stop growing." 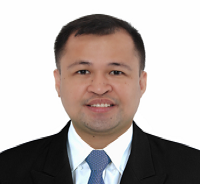 Well versed in the preparation of Financial Statement which compose of Balance Sheet, Profit and Loss, Cashflow and other reports based on US GAAP or IFRS; Knowledgeable on EMEA and Philippine Value Added tax compliance; Well versed with the Balance Sheet as well as Profit and Loss review and analysis; Always with a can-do attitude and is results driven. 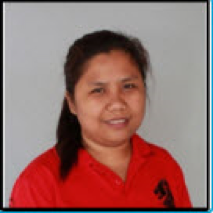 She was a consistent honor student since elementary and was a working and academic scholar during college. 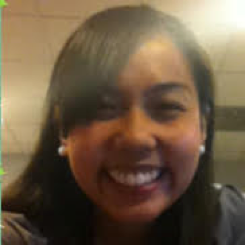 She passed the CPA board exam last 2007 and has been working as an Accountant . She considers herself as an experienced Accountant with a demonstrated history of working in the information technology and services industry. Equipped with analytical skills, nonviolent communicator, with profound knowledge on different accounting tools such as Quickbooks, Xero, SAP and Microsoft Office. 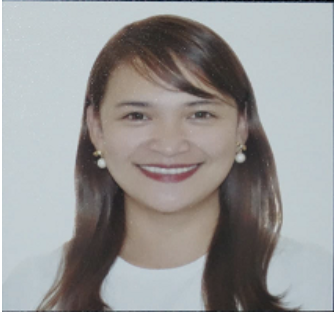 She is well adept in Philippines and European taxes but will need further learning in North America and Asia Pacific taxation. 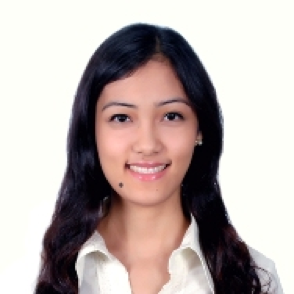 She always desires to provide the best quality output to help the company she will work with. 1. Accurate and timely recording of transactions. This is to have a real time view of the financial position and performance of the company anytime. 2. Monthly Financial Statement analysis which includes month to month, quarter to quarter or year to year review of the financial statements. This will help the management to gain idea as to what are the drivers of the changes for a given period be it favorable or unfavorable. 3. Cost savings by providing a trending analysis for both Income and Expenses based on historical financial data that would be very useful during budgeting/forecasting. 4. Tax/Audit support by answering questions and providing documents or requirements required by the auditor. I will also serve as liaison between the management and the auditors if necessary. All of the above will help management to make a more informed financial decision both short term and long term. This will also enable them to come up with the best strategies to position the company well in the market”.